Heh, heh – down here was call any liqour made with corn White Lightning! 🙂 I looks wonderful and came out a beautiful color! Thanks Kenley, there is still plenty of time to start infusions before the holidays! Pick some of the quicker ones if you need to! You are hilarious Shelley! So which is more important, the hip flask or the liver? When you put it like that, and since the liver can regenerate itself, I’ll just tell my griping internal organs to pipe down. I vote hip flask. 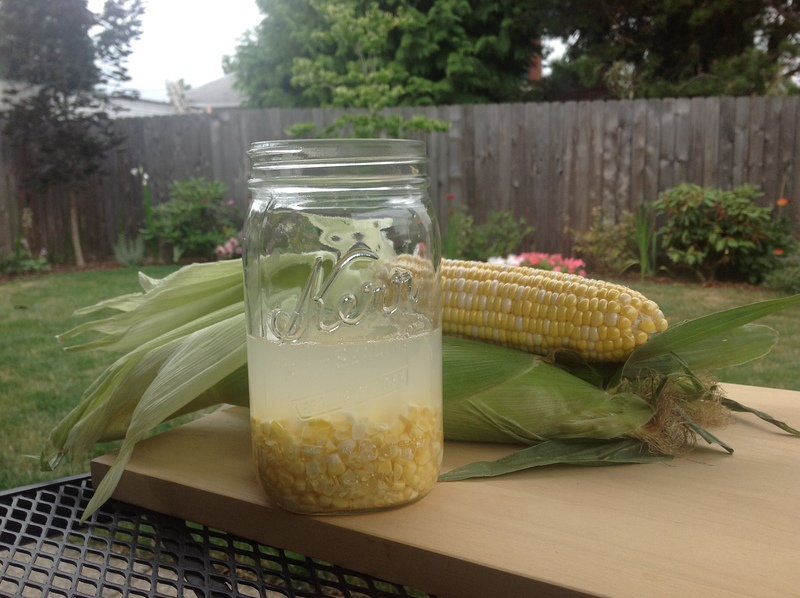 How about roasting the corn before infusing? Hi Joie, I think roasted corn would be great, probably a bit of an improvement over the raw or boiled corn. Thanks! At first I had my doubts, but then saw the clarity, and of course was impressed. This is such a cool recipe. love. this. !!!! appreciate you stopping by food for fun for the crabapple hooch. 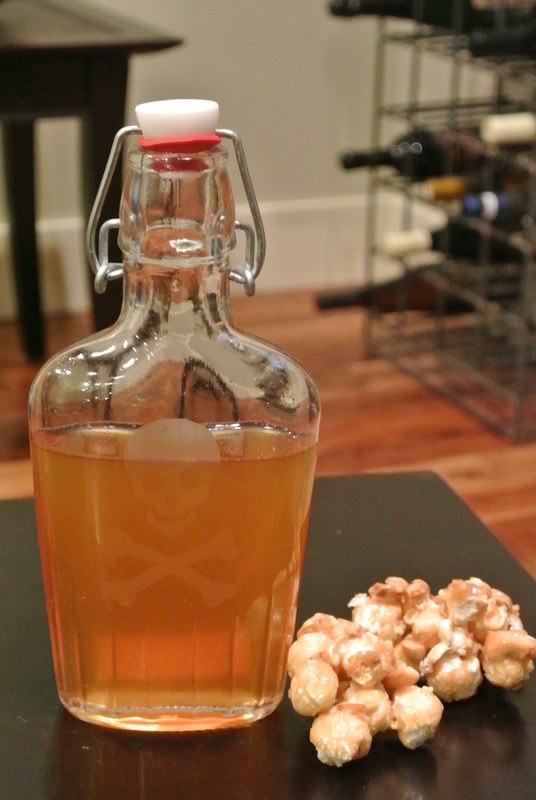 Hope you saw the post with the candy corn vodka and also my latest with the candy bar cocktail. So many things to be done 🙂 Glad to have found your blog. I have lots to learn! Just wanted you to know that I mentioned your blog in my gingerbread liqueur post today! The verdict is tomorrow’s post – It was amazing stuff! Thanks for the inspiration.